The original post was so big that I split it up into two parts. 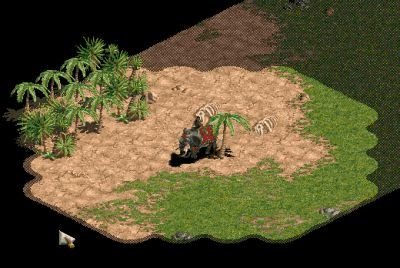 Continuing from last week’s post showing how to implement a “Chunky” fog of war, this week I will wrap-up the series by showing you how to implement a “Smooth” fog of war. Smooth is by-far my favorite because it yields much more natural-looking fog. The implementation for smooth fog is similar to chunky. You still need a fog map (or fog data stored someplace) and a step to apply the shape, but there are other steps in the process that require extra effort. The result is a much smoother fog and it’s well worth the extra graphic space (and a small amount of data space) if your app can spare it. 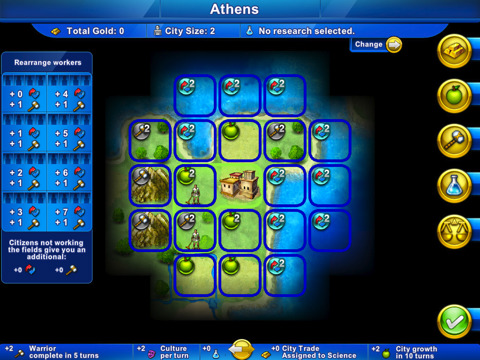 Fog of war systems are normally used in games that use a map to represent the level the units are traversing. For example, in the WarCraft II illustration at the top of the previous post, you can see that there are water and ground tiles. (There are also trees but they’re out-of-frame.) This map is usually an array of tile data (structures) that store information specific to that tile: the type of tile it is (water, grass, etc. ), if a unit can walk on it (grass would be true, a tree would be false, for example), and so on. Fog systems are the same way. They use the notion of tiles to represent how the fog looks and therefore go hand-in-hand with the normal tile map. 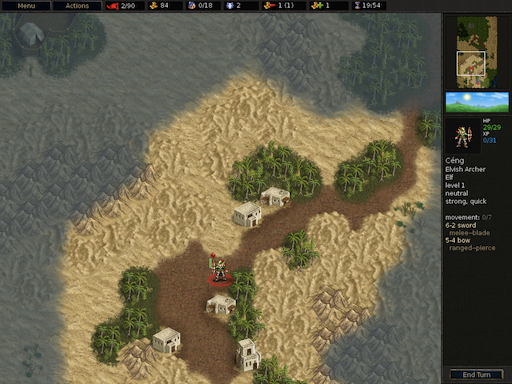 This means that the size of the fog tile is usually the same size as the terrain tile. 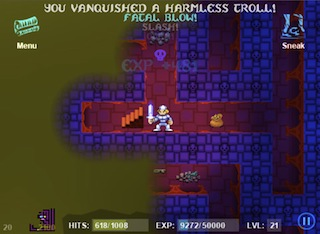 Therefore, you can take advantage of this idea and store the fog-specific information along with the normal tile data. If you want to keep the fog data separate from the normal data, you can certainly do that. You would just need to have another fog-specific map. 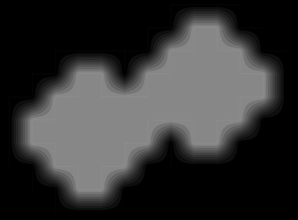 The key to making the smooth fog system work is the notion of sub-pixels. In order to achieve a smooth fog, you have to define more than just “on-or-off”. You need to somehow ‘describe’ the amount of fog there is in each tile. An elegant way to do that is by defining sub-pixels. 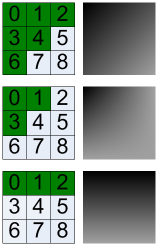 As you can see, the system described here divides each pixel into 9 sub-pixels (3×3). You could divide it into 2×2 — and that would certainly be smoother than the chunky system — but for my needs I had enough space for a 3×3. Conversely, you can also define more than 3×3. The important thing to remember though is that the more bits you need, the bigger the lookup table needs to be. A 3×3 system needs 9 bits, which equates to a table with 512 entries. A 2×2 needs 4 bits, which is just 16 entries. 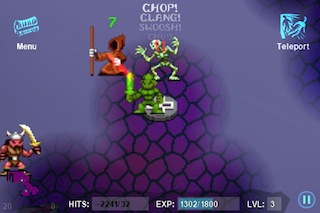 In the above examples, you can see that the fog covers a certain area of each tile. In the first example, the coverage is about 50%. In the middle example, the coverage is about 33%, and so on. What your artist needs to determine is how much coverage there should be per tile. The easiest way to do that is for them to draw a circle on graph paper and see where the line falls and then make some generalizations. The amount of coverage you want to represent will determine how many graphic tiles your artist needs to create. At first it might seem like a daunting task to define every permutation of bit definitions. You don’t. You only have to define the entries you care about. For example, I have no need (or desire) to show a tile that has all bits set except 4 (which looks like a doughnut). I also don’t care about a tile that only has bit 4 set. The bits you define are totally up to you, but know that you don’t have to crazy with them. I’ll show you in a moment that you don’t need a large number of them to get a smooth circle. Let’s take a moment to talk about what I mean when I say “bit definitions”. Here is a specific example. You can see that the green bits are set and that in turn creates a hex value. In this case, it’s 0x5F (entry 95 in the table), so we set table entry 95 with the id of the graphic tile that represents the northwest corner. In my case, it’s a frame number, but for you it could be a file name to the specific .PNG file, or whatever suits your purpose. Again, you need to repeat these steps only for the tiles you care about. So how do you define the tiles you don’t care about? That’s quite easy. For my system, I define -1 to mean ‘undefined’. If you were storing file names, a NULL/NIL would serve the same purpose. Using a definition such as this is also a good debugging tool. We’ll talk more about that in Step 4: Draw The Fog. When you’re done defining all of your relevant entries, you’ll end up with a table that contains mostly -1’s, with ‘spot’ entries containing real data. Now that you have all of your tiles defined, you’re able to define what I call the ‘circle masks‘. Where the Chunky system uses a real-time system of circle drawing and filling, the Smooth system does all of the heavy-lifting offline. That is, you define ahead of time the shape (and look) of the circle at each radius you want to support. We do that with masks. Before we do that though, we need to first make maintenance easy on ourselves: we should define the bits with code. You can skip this step if you want, but I wouldn’t recommend it. It’s much easier to handle (and debug/modify) if you use something other than raw numbers. Notice that even though I have 9 bits at my disposal, I only care about 14 combinations of them. (By way of comparison, Civilization Revolution uses 80…that has really smooth fog!) Also notice that all of the defines have the same number of characters. This makes the circle easier to see. This is made even more readable by mixing upper- and lower-case. The source code for the article defines radii 3-9. The way I determined the shape for all of them was to use the same circle draw routine that the chunky system used to get the basic shape, then I just smoothed it out in the corners by hand. You could also use any drawing program that has a circle tool. I liked the fine control I got my own circle draw routine so I was happy with that. With the masks defined, it’s important to know that these shape masks are fundamental to how the smoothing system works. The real magic happens when those masks are applied to the fog map. The process is very simple and straightforward, but it’s a powerful system and uses bits for what they were originally intended for: each entry in the shape mask array is bitwise ANDed with whatever data is already in the map. 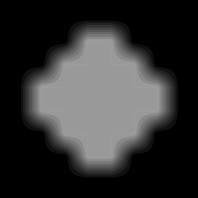 This system maintains the fog coverage bits and is the reason why merging more than one circle is always perfectly handled without resorting to ugly hacks and work-arounds. Note that you need to make sure you don’t try to read or write outside of the fog map. Now you’re finally at the last step! Time to visualize the fog data. This step is even easier than applying the shape mask. All you do is traverse the fog map and use the bits as a direct index in the tile definition table we created in Step 1. Some optimizations that I have done in the rendering step is to not draw anything if there are no bits set. You could have defined this in your definitions but since there are no bits set, there shouldn’t be any pixels set either. You don’t need to waste time trying to draw something that is completely empty. Another optimization is the ‘standard’ notion of not wasting time trying to draw something that is completely off-screen. I wanted to point out the debugging information I mentioned in Step 1. At draw time, if I obtain a table entry that is -1 (or NULL/NIL) then I have made an error someplace. Usually it means I haven’t given the lookup table a valid entry and need to do so. I want to know which entry that is so I display a message to the console telling me that. Whenever this debug message triggers, it usually means that I have come across a legal bit definition that I haven’t accounted for. This doesn’t mean I need to create a new graphic tile; I just need to tell the system what to draw in this case. I have to look at the bits and see what it looks like on paper before knowing what tile id resembles it the closest. What’s great about this implementation is that it can be used for more than just traditional fog. Anything that can be revealed is a viable candidate: clouds, water, whatever. Get clever and take it in unexpected and fresh directions! Here is a zip file of all the code files represented by the fog system I have described. I have even created the shape masks for all radii from 3 to 9 to get you started. Enjoy! I would like to thank Sam Nova and Noel Llopis for peer-reviewing this series. Thank you, guys!